If you’re in an area where it constantly snows, you might consider it a daily blessing that doubles in size during the winter months. 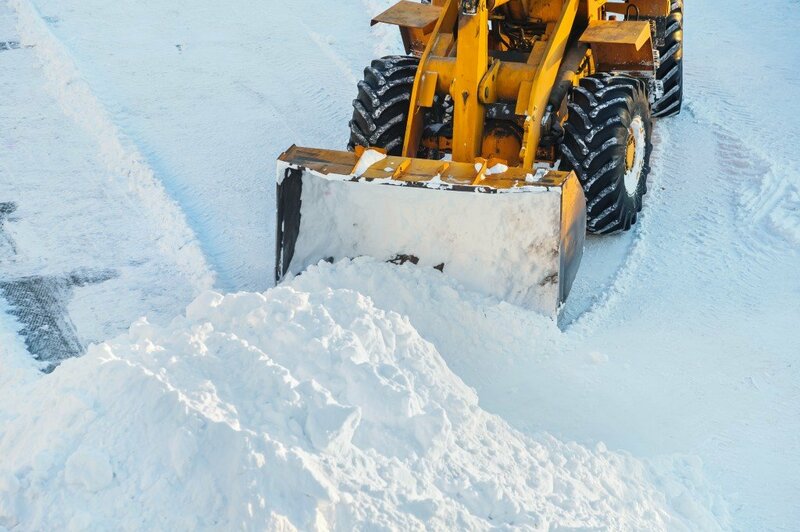 Clearing snow in your home or business premises is also a law or part of local regulations in certain states and cities. Go at it manually with the right type of snow shovel. When you think of a shovel, you’re probably thinking about the round-nosed one, which can be used for all types of jobs. 30-inch and 24-inch shovels help scoop more of that snow out of the way. Snow sleighs are meant for heavy duty pushing for your driveway. Attachments are also available to make shoveling easier. If you need something easier on your back, attach a second tool handle to your single-handle shove. If you need extra power, you can also go for good old snow blowers to provide that extra kick in clearing ice from the sidewalk. Cooking spray and dish soap aren’t just for your kitchen, they’re also there to clear snow. Applying cooking spray to your shovel will lubricate the spade. This ensures that no snow will stick to the blade. You can reapply cooking spray to your shovel as many times as needed. Dish soap can turn into an amazing ice melter with just a bucket, hot water, and rubbing alcohol. Pour a few drops of dish soap in a bucket containing ½ gallon of hot water and ¼ cup of rubbing alcohol. Mix it and watch the snow disappear when you throw the mixture over it. Fill up a spray bottle with the mixture and you’ve also got a handy defrosting solution for your windshield. Before you dump road salt or other ice-melting chemicals around, think of using alternatives instead. Road salt can lure species such as deer and moose to roads, increase salt content in runoffs and affect aquatic wildlife and other species that rely on plants that absorb the extra sodium. Road salt can also harm your beloved pets. Instead of road salt, you can use natural alternatives to improve traction on snow. Leftover coffee grounds are inexpensive ground coverings, while cheese brine and beet wastewater are eco-friendly ice melters. Car owners can find it useful to spray vinegar and water over their windshields to prevent frost. While it’s tempting to keep your front driveway and sidewalks clear of snow, know when to fold them. Determine when it’s too dangerous to go out of your home or office; know if your body can go out and clean, and dress for the occasion. In addition, know when to hire the pros. If you suspect that you can’t physically do the work, or may need more than a shovel. Pick up the phone and get help from your local landscaping service company.